It is a term in baseball circles that some would consider a swear word. The players involved hate it because they lose valuable at bats over the course of a season. The field manager hates it because he will have to eventually deal with the players whining. Fantasy pool players hate it because their draft pick won't reach the production they have been expected to. Player agents hate it because their clients numbers are affected negatively by the limited opportunities. So who does it benefit and why is it still common? Quite simply: It allows a team to maximize the strengths of a player while minimizing his deficiencies. When coupled with another player who's skill set is completely different, in theory, it puts the team in the best position to win by fielding it's strongest line up everyday. Most professionals in any trade want to work on their weakest areas in hopes of becoming more efficient as a whole. Baseball players are no different. If the player is perceived to not be able to hit left handed pitching well then he wants to get his at bats against lefties to prove everyone wrong. A platoon does not allow for this to happen because a different player who kills lefties would get those at bats. Which leads me to the 2006 version of your Toronto Blue Jays. We had two full time outfielders in Vernon Wells and Alex Rios. Then we had other role players in Frank Catalanotto and Reed Johnson. Let's examine their respective skill sets. A quick offensive player comparison may prove helpful at this point. So as it were, skipper John Gibbons and J.P. decided to try the platoon on a full time basis. 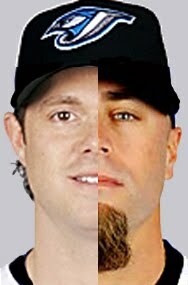 As a result, Cat played 101 games and Reed played 100 in left field. Since we only play 162 games a season, how is this possible you might ask? The majority of the season Cat got the call against the right handed starting pitcher and Reed would take over late in the game to pinch hit against the left handed specialist. Reed and his better defensive abilities would then patrol left field and attempt to preserve a close win. To Gibby it was like clock work. He rode it all the way to our only second place finish in the AL East for the entire decade. Not bad for a couple of part time players with holes in their games. I bring this up only because I pray that The Cito has this in mind for right field next season. It makes no sense to me to give Jose Bautista and his .202 average against righties full time at bats there just because he is above average defensively. Is Travis Snider the other half of the potential platoon? Or does that make even less sense? 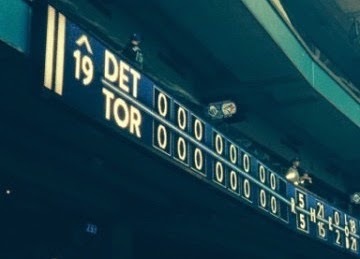 I can certainly understand your frustration with Cito, but let's face it, the success of this platoon aside, Gibbons really, really sucked. If he was still your manager, Adam Lind would still be at AAA and John MacDonald would be the everyday shortstop. Obviously, Lind will be in the lineup everyday, no matter where he plays, but among the other four there are, conveniently, two young left-handed prospects, and two underperforming right-handed veterans. That makes a near perfect situation for easing Snider and Wallace into the league. If either one of them gets hot, than he'll lock in a full-time job, but until that happens, Gaston will probably manage a rotation that gives all four approximately 75% playing time. With respect to Gibby, I agree with you 100%. But he did put his players in situations where they had the greatest chance to succeed. That, to me, is a key trait of good field managing and may help explain his career record of 305 wins and 305 loses with substandard talent to work with. I was always partial to Freed Johnsolanotto. It flows better. Gibby was a fine manager, he did good work. 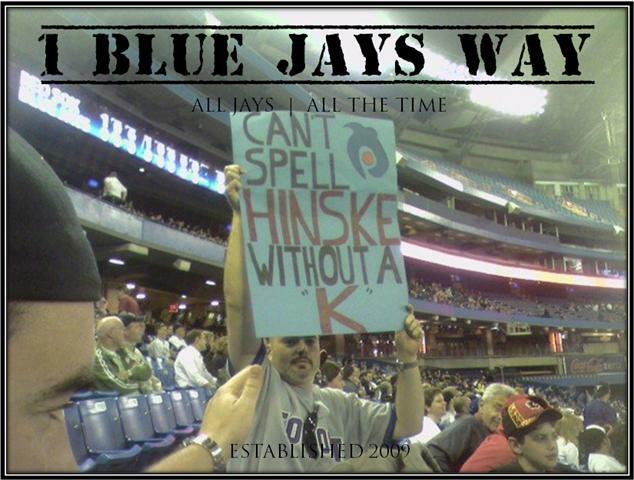 Lind would be on nobody's bench.